Since 1966 the Chamber has made every effort to promote business development and give our members direct access to business and community leaders who share their economic, civic and social concerns. We provide access to a complete list of members who embody the expertise needed to help you manage the financial, organizational, and marketing issues that businesses face every day. We are an advocate for business, dedicated to regional prosperity by informing our members of the latest business trends. The Chamber unites the efforts of business, industrial and professional individuals to ensure an enhanced business climate, harnessing the tremendous potential of the private enterprise system and enabling its members to accomplish collectively what no one could do individually. The variety and scope of Chamber activities is unlimited, depending on the needs of its members and the desire and ability of the chamber to carry them out. The chamber represents and promotes the area’s economy, and encourages business and industrial investment, broadening the tax base and providing employment. To business prospects and newcomers, the Chamber represents the community’s “front door.” Your Chamber is involved in non-commercial areas, such as education, human relations, and environmental, cultural and governmental concerns. These challenges have caused the TVCC to become a viable force in seeking solutions to today’s social problems. Our ability to exert influence in national, state, and local legislation affecting business is evident now more than ever before. The rewards of belonging to the Chamber are full-time representation and year-round results. Our activities, programs, and initiatives all serve one purpose – to make Temecula a better place to live, work, and play. With more than 50 years of experience, the Chamber offers unprecedented benefits, discounts, and opportunities to make area businesses prosperous. 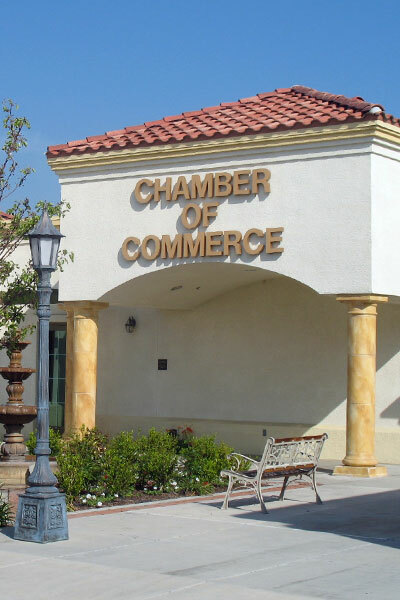 The Temecula Valley Chamber of Commerce is excited to pave the way for a growing regional economy.